Walking trails accompany even the smallest stream in England, and on a summer's evening a peaceful stroll beside a gently whispering brook is guaranteed to restore even the most burdened soul. 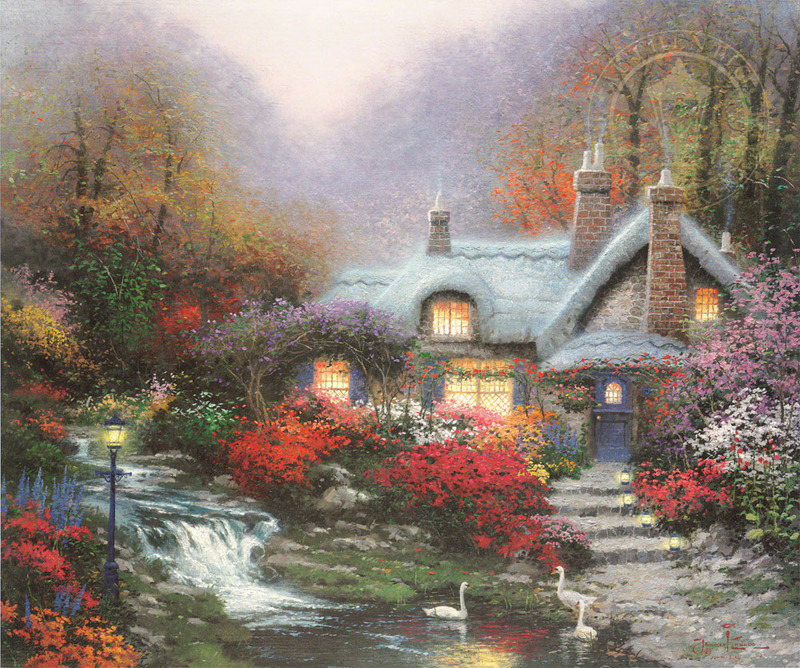 On one such evening walk in England, my family and I came upon the idyllic cottage on which I based this painting. With lush gardens and the constant murmur of the tiny brook, I can't imagine a more enchanting setting!